To enjoy the liberty to download apps from other than apple store you need to jailbreak it. The procedure given below is easy to follow for this purpose. iPod Touch1G is has wide screen with multi touch display. The first generation iPod has varied storage capacity from 8 to 32GB so you can place a lot of entertainment stuff in it. Has the Wi-Fi feature for the first time in iPod so in this way connectivity is made easy. Easy to carry entertainment pack is available for you in the form of iPod Touch1G and its restriction free apps download is made possible with this jailbreak process. 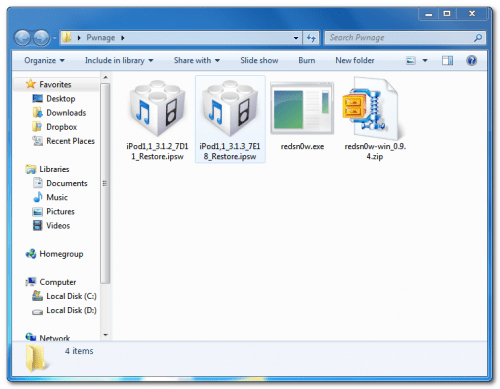 The following steps need to be followed to jailbreak your iPod Touch1G. Create a new folder with the name of ‘Pwnage’ on the desktop of your computer. Then download RedSn0w from the following link and place it in ‘Pwnage’ folder. Similarly you need to download two firmware 3.1.2 and 3.1.3 and also put them in the same folder. 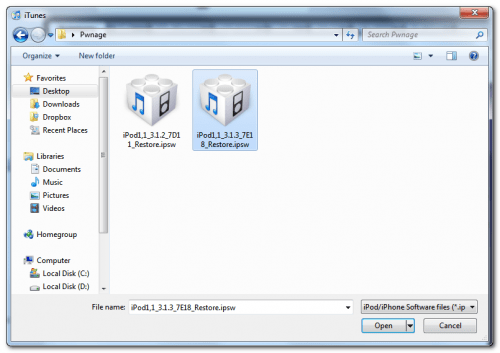 It is necessary to purchase firmware from iTunes store and let it save the firmware files in the following space. It is also compulsory to enable the option of “view hidden files and folders”. In case if you could not find the files you can search for them in Google with ipsw. Now connect your iPod Touch1G with computer to launch iTunes. You are directed to check the option of iPod from the device list appears on the screen. Now you need to keep Shift key press and click on the restore button. This act wouldn’t create any useless space on the device. Now go to the Pwnage folder and select 3.1.3 firmware ipsw from there to open it. 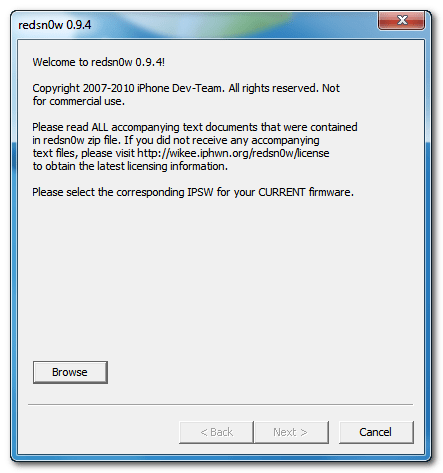 On the completion of updating iPod Touch1G to the 3.1.3 firmware by iTunes you need to launch RedSn0w.exe from Pwnage folder on your desktop. Gets RedSn0w Open and Browse. 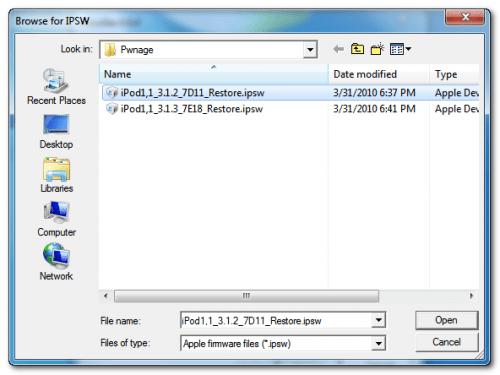 Select ipsw 3.1.3 firmware from Pwnage folder and opens it. After the verification of the firmware click on the Next button and continue with the process. From the given option you must select ‘Cydia’. If you need to do custom boot logo and custom recovery logo as well please select them, a dialogue box will get open and demands you to select the image for each of these. 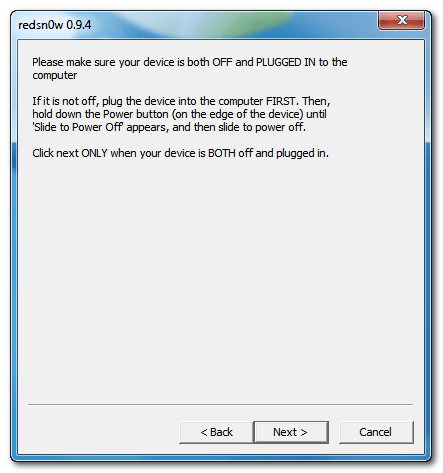 Plug in your iPod Touch1G into the computer and turn it off prior to it. Now once again click on the next button. 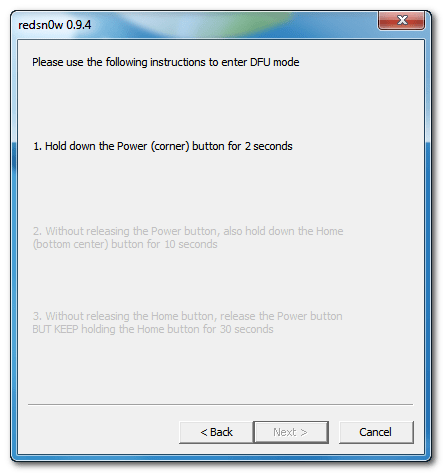 To get into DFU mode RedSn0w would guide you. For 10 seconds keep Home and Power key press. 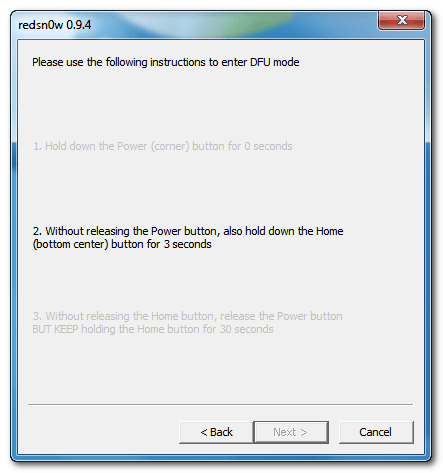 After 10 seconds you should release power button but keep Home key press till redSn0w finds the device. Now you have to wait for reboot of iPod Touch1G. RedSn0w will begin to download new RAM disk. 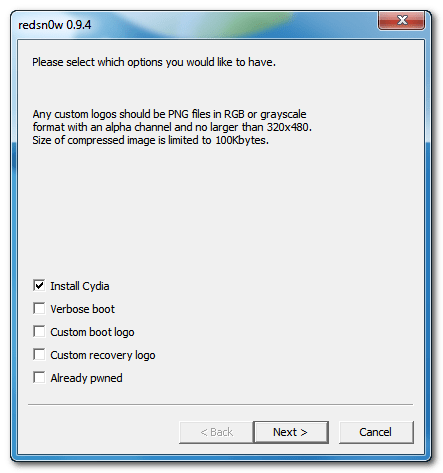 When this process gets complete intimation is generated that RedSn0w is complete. Now you can click on the Finish Button. Approximately in 5 minutes rebooting of you iPod Touch1G would be done and Cydia will appear on the springboard of iPod Touch1G. 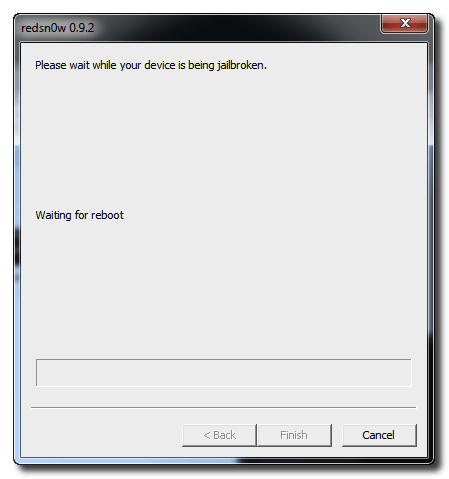 This entry was posted in 3.1.3 Firmware, iPod Touch1G, Jailbreak, redSn0w and tagged 3.1.3 Firmware, iPod Touch1G, Jailbreak, Redsn0w by Admin. Bookmark the permalink.